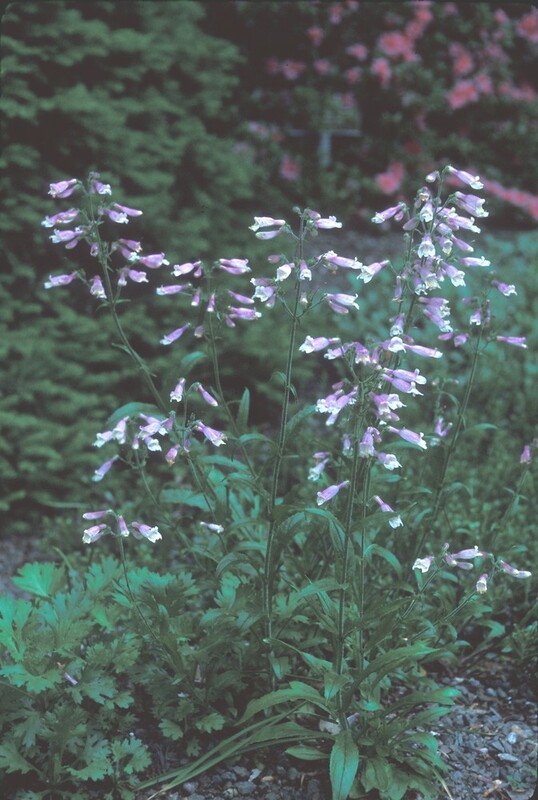 Northeastern beardtongue makes a great plant for the native flower garden, attracting bees and a moderate number of beneficial insects. 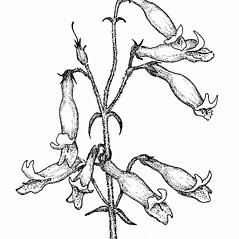 The name beardtongue derives from the fifth stamen, which is sterile and possesses a small clump of hairs that makes it look bearded. 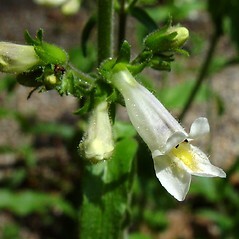 inner tube of petals with purple markings and open, without an obstruction formed by an upward swelling from the lower side (vs. P. hirsutus, with the inner tube of petals without purple markings and closed off due to a swelling from the lower side). 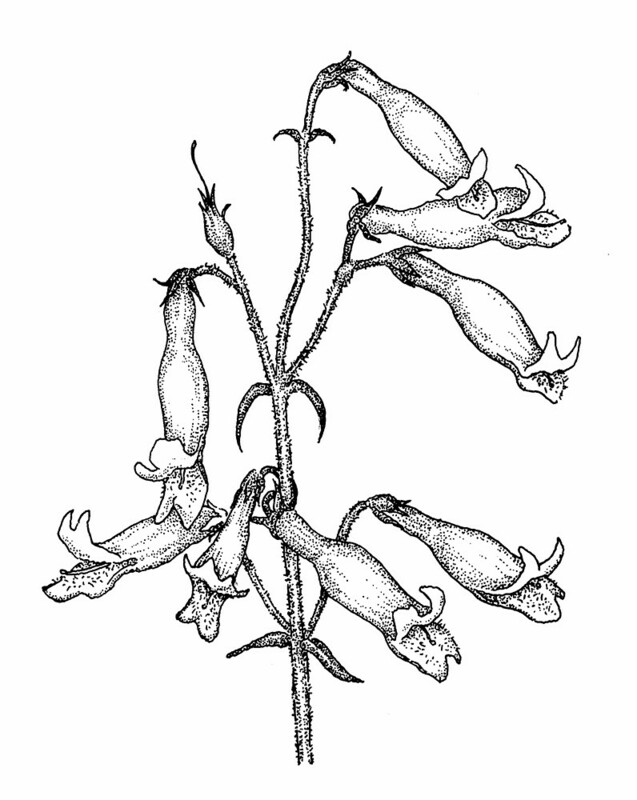 northeastern beardtongue. 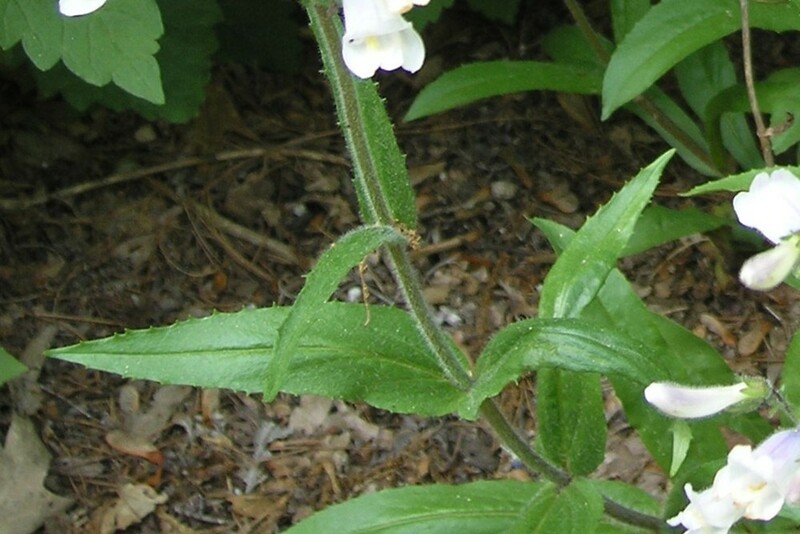 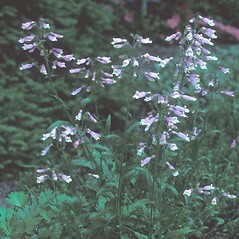 CT, MA, ME, RI, VT. Fields, roadsides, woodlands, outcrops, usually in dry, well-drained soils. 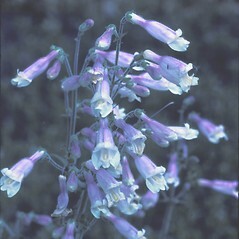 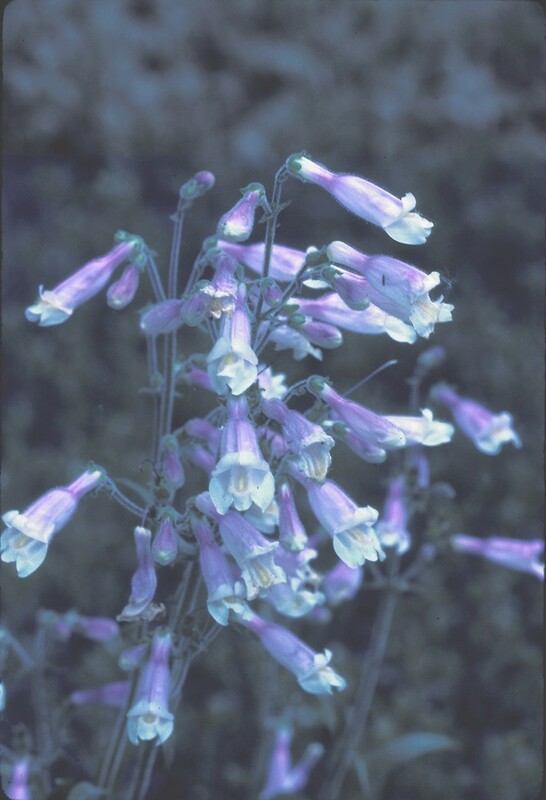 The report of this species from NH by Pease (1964) is based on a collection of Penstemon pallidus— Pease 31942 ( NEBC!). 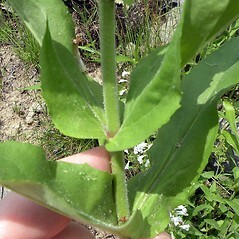 Penstemon hirsutus is relatively easy to identify in the field due to the palate on the lower corolla lip (unique for New England Penstemon). 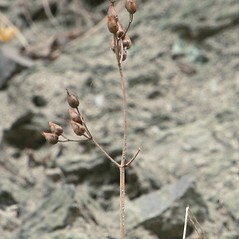 However, on herbarium specimens this feature can be distorted, and separating this species from P. pallidus is more difficult. 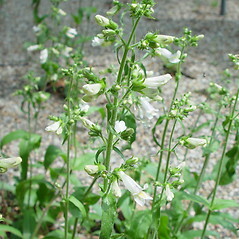 Penstemon hirsutus has a corolla 20–30 mm long, capsules 8–9 mm tall, and essentially glabrous adaxial leaf surfaces. 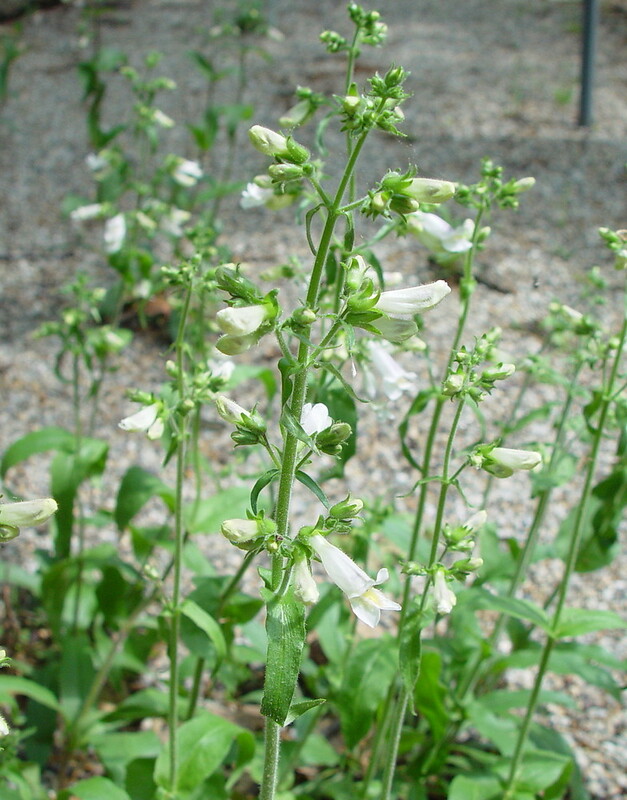 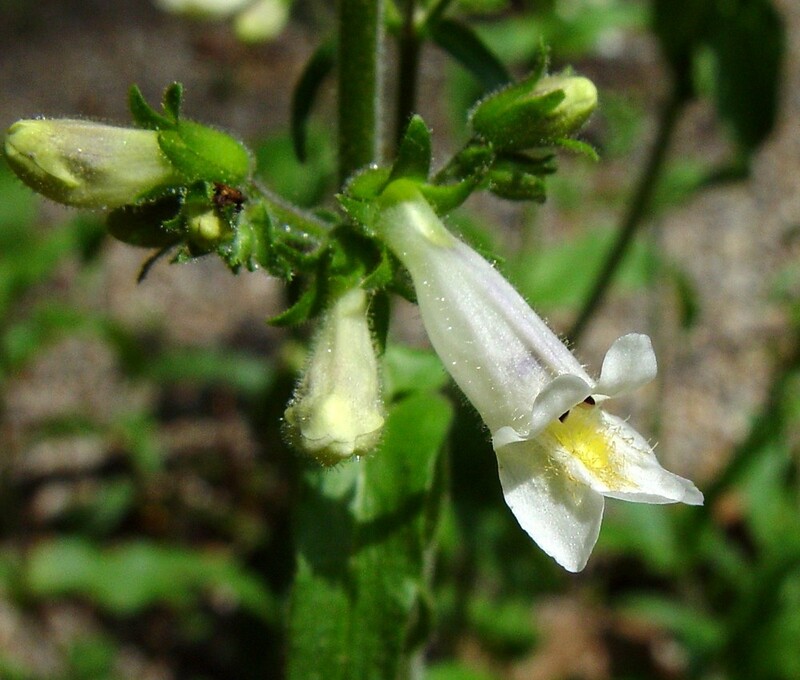 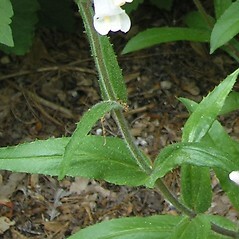 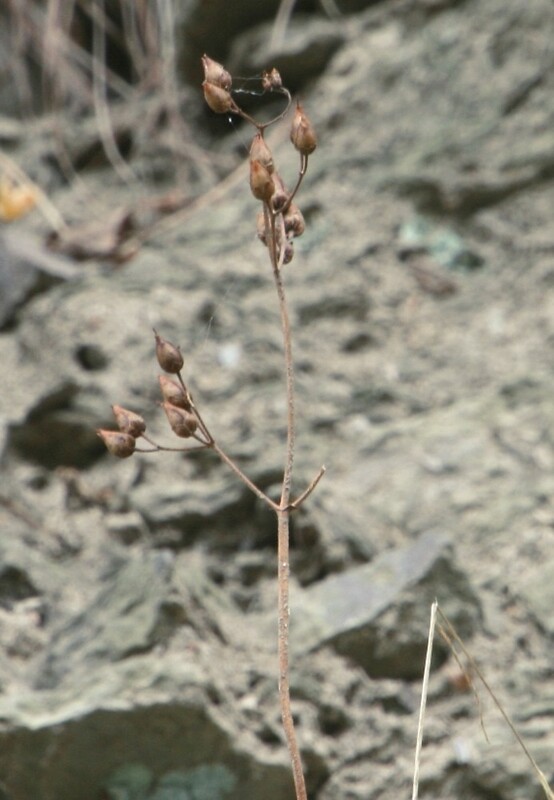 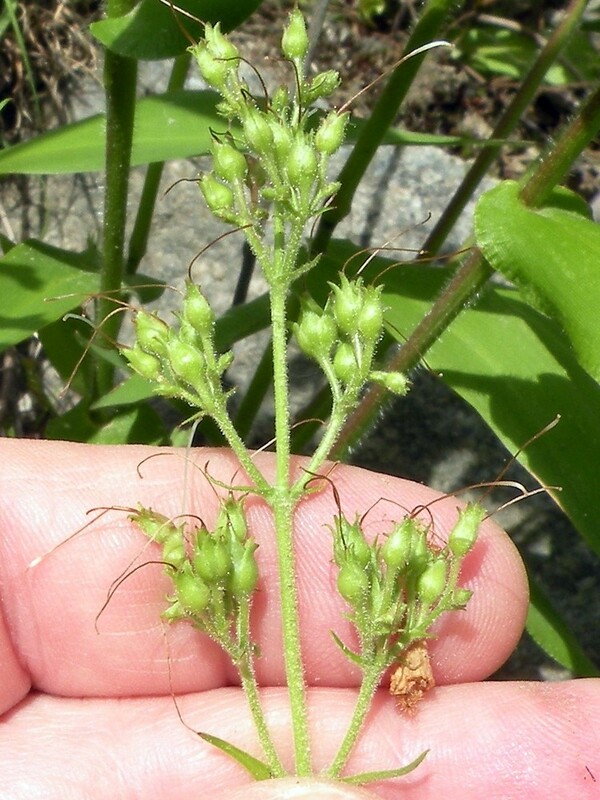 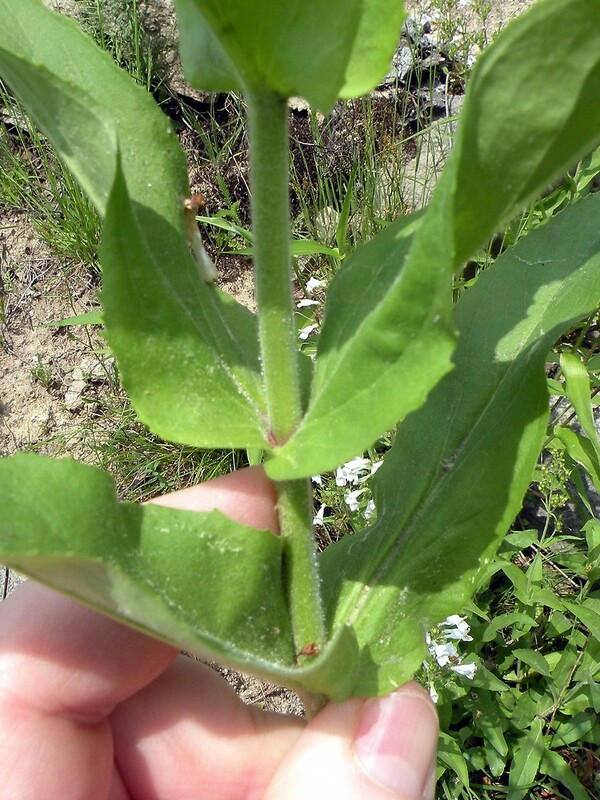 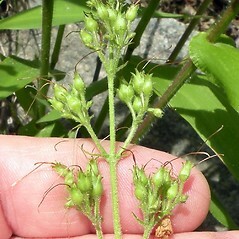 Penstemon pallidus has a corolla 15–22 mm long, capsules 6–7 mm tall, and pubescent adaxial leaf surfaces.